All you need to know about modifications and future evolutions of the game. Updates, maintenances and technical issues are announced and explained here. 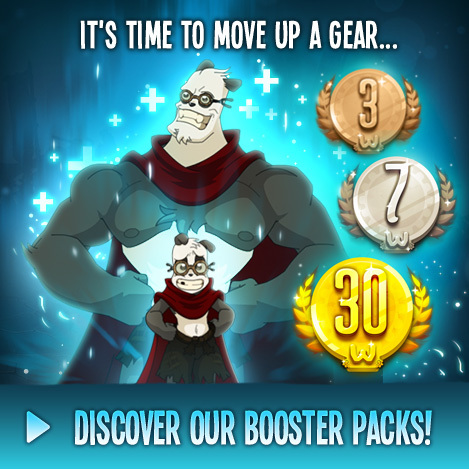 Use this forum to discuss topics about Wakfu. Come tell us about your expectations for the 2019 WAKFU schedule. Share thoughts and advice on your favourite class. Talk about more in-depth aspects of the game. Submit here your Community events proposals to Ankama. Announce in-game meetings in this section and talk about future and past events. Looking for a guild on Remington? This section will help you find the one just for you! For everything relating to the Politic life of your server. Looking for a guild on Nox? This section will help you find the one just for you! Looking for a guild on Phaeris? This section will help you find the one just for you! Share your feedback on the features you tested. This section is for role-players only. Who are you? Let everyone learn more about yourself. Artists and writers - come share your works of art! Share with other players in your own language. Where you can talk about anything but WAKFU! Talk about the Wakfu animated series, aired on French television. Talk about Wakfu concept arts, artbooks and other spin-off products.